I didn't like Bhutanese music until recently, forgive me but there was nothing that could draw me- from lyrics to composition to the voice quality. Thanks to singers Namgay Jigs (forgive his name), Tshering Dorji, and Kheng Sonam Dorji, lyricist like Dirty and Composer like Tandin, who suddenly transformed the whole trend. Now, Bhutanese children listen to great deal of local music and pride in being able to sing a few. Our generation, who grew insulting the half-hearted songs, is finally beginning to stop and listen, and even love some songs. It's unfortunate that the business is not good now a days with lot of piracy but the change in quality deserves all our respect. 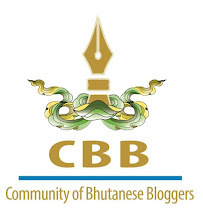 Business Idea: Why don't someone in web-designing business come up with a site from where we could download Bhutanese songs legally.